While many say “Out with the old and in with the new,” this might be true for hairstyles, tube socks or shag carpet, but with over 130 million wood utility structures across America that are still in service today, this is simply not the case. Wood utility structures have an undeniable reputation for being reliable, versatile and cost-effective.Wood distribution and transmission structures remain highly preferred in the utility industry due to their ease of construction, climbability and design flexibility. 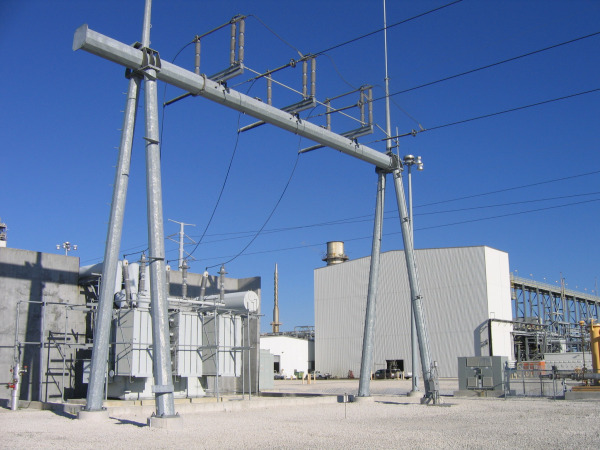 Reliability Wood transmission structures have higher Basic Insulating Levels (BIL), which can help reduce lightning flashovers, cutting down on power outages. Cost-effective With economical initial costs and low overall life cycle costs, wood can directly reduce the impact of operating expenses. Safety Since wood transmission structures have been around for decades, utilities and lineman are very familiar with proper use and handling of the products. Why use wood transmission structures? The general standards that wood transmission structures must meet include ANSI, RUS, NESC, WCLIB and AWPA. And just like steel, concrete and other materials, there are countless configurations for wood transmission structures. When considering which manufacturer to choose, you might want to consider their history in the supply of products in the utility market, the location and number of facilities, in-house design capacity, access to raw materials and available inventory for standard items, especially when time is critical. All of these factors could make or break your recovery response when natural disasters strike. Wood Structures: Still in the Game or Ancient History?